Why should Roger Corman get all the credit? 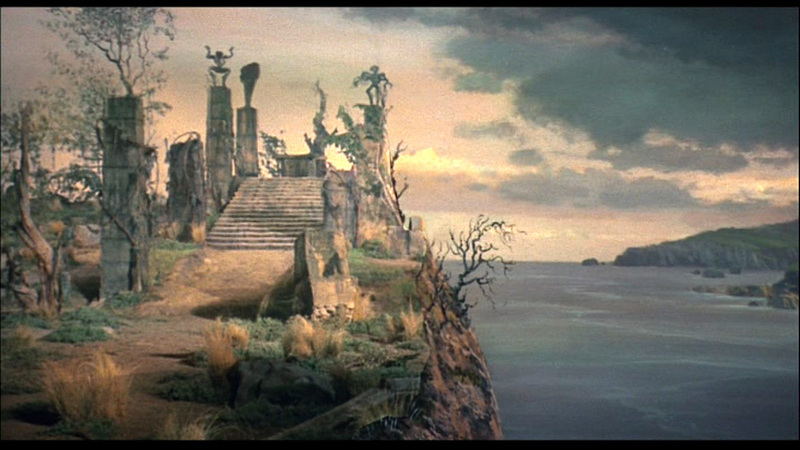 A great deal of the success and continued popularity of Corman’s Poe adaptations are the art direction and stunning sets that Daniel Haller created on a shoestring budget. After studying at the Chouinard Art Institute in Los Angeles, Haller cut his teeth on low-budget American International exploitation pictures, most notably a slew of films featuring mobsters, hot rods, and juvenile delinquents. After directing a handful of feature films for American International, he enjoyed a long career as a director of such 1970s television staples such as The Mod Squad, Ironside, and Kojak. 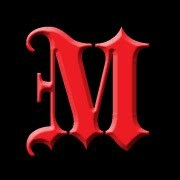 But it is his magnificent eye for Gothic detail which keeps his name alive among fans of classic horror films. Haller’s first foray into the Lovecraft pantheon was his work on Corman’s The Haunted Palace, an unofficial entry in AI’s Poe cycle but owing nothing more than the title to Poe. The story is a fairly faithful adaptation of H.P. Lovecraft’s novel The Case of Charles Dexter Ward. 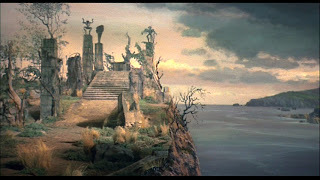 The Haunted Palace was one of Haller’s last efforts as Art Director, and once again he was able to suggest a Gothic grandeur and opulence in the cavernous interiors he designed for the film. Stephen Reinhart (Nick Adams) peruses the Necronomicon. Haller fared much better with his final Lovecraft film, 1970’s masterpiece of quasi-satanic schlock, The Dunwich Horror. Lovecraft purists may argue that the story (scripted by future Academy Award winner Curtis Hansen for his adaptation of James Elroy’s complex novel L.A. Confidential) strayed too far afield. What critics often overlook is The Dunwich Horror’s faithfulness to the mythos that Lovecraft created. As always, American International aimed the production squarely at the teen market, filling the screen with psychedelic imagery and cashing in on the late 60s craze for devil worship and the sacrifice of nubile young maidens. Thanks to another great score by Les Baxter, an over-the-top performance from Dean Stockwell, and much livelier direction from Haller, The Dunwich Horror remains a cult favorite among fans of 60s low budget horror features. The Altar to Yog-Sothoth on Sentinel Hill. Sadly, Haller has never returned to Art Direction, and with the exception of directing one entry in Rod Serling’s Night Gallery series, never ventured into the horror field again. The Haunted Palace, Die, Monster, Die, and The Dunwich Horror are three vastly different types of movies with varying degrees of success, but until a major league director such as Guillermo del Toro finally comes through with his proposed adaptation of At the Mountains of Madness, Haller’s Lovecraft Trilogy remains some of the best Lovecraft films we have. 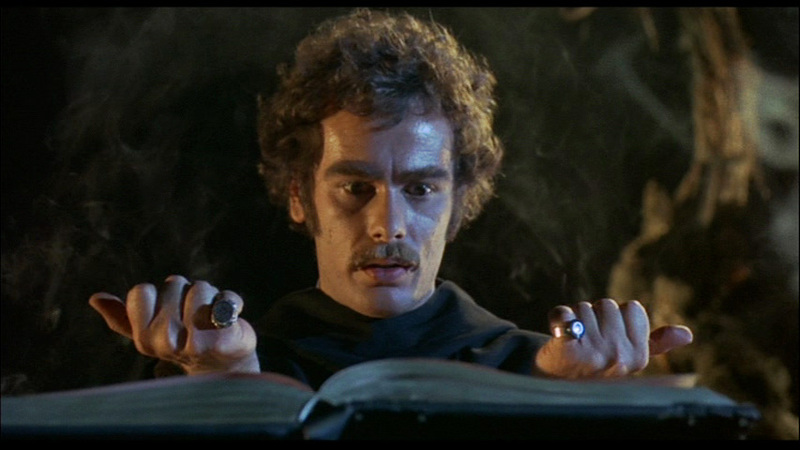 Dean Stockwell as Wilbur Whately invokes Yog-Sothoth. Yes! Two of my fave moments in horror film, and esp. Lovecraftian horror, are those greenhouse creatures in DIE and Sentinel Hill in DUNWICH. And I remember when I found out Hansen had adapted the latter's screenplay! Sadly, I believe del Toro has given up on his dream of bringing MOUNTAINS to the screen.